Hida Yuzu Lala is a 4.5% fruit beer from Ji-Beer Hida, based in Hidatakayama, Gifu. It’s part of their fruit beer lineup and can be found in bottles at the time of writing. 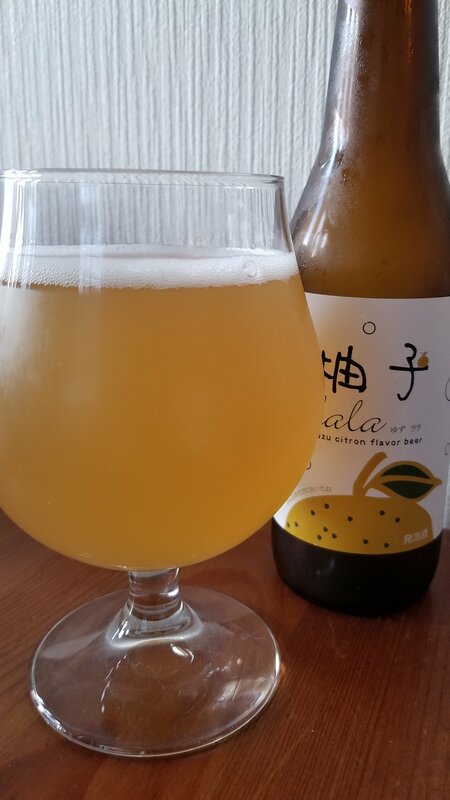 Hida Yuzu Lala is brewed using yuzu, also known as Japanese citron, from Kaminoho, a village found in Gifu, and involves the fresh juice and peels being used as well as rice in the mash. Hida Yuzu Lala poured out a hazy light yellow orange with a fluffy white head on top. There was only one smell coming off of Hida Yuzu Lala – yuzu. There was nothing else of note. I like me some yuzu as much as the next person, but seriously, this was ridiculous. If there had been something else, say some peppery notes, or some salt nose to it, then fine, but just yuzu?! And the body was more of the same. I know it says yuzu on the front, and I should haven’t expected anything else, but I damnit! I wanted something to go with the yuzu. Maybe some malt sweetness perhaps, or something else like some salt or maybe some herbal notes. It just tasted like alcoholic yuzu juice. Not a bad thing if you want that, but I didn’t. Do I have to write this after what I wrote? I do? IT’S ALCOHOLIC YUZU JUICE! THERE IS NO BEER HERE!